POLICE MAKE ARRESTS AFTER REHOBOTH GETS TAGGED AGAIN! Suspect had 42 cans of spray paint! The paint was still wet when Rehoboth Beach police received a tip around 3:20 a.m. Saturday reporting several youths on Christian Street spray painting graffiti. The culprits tagged the Oceanus Motel. 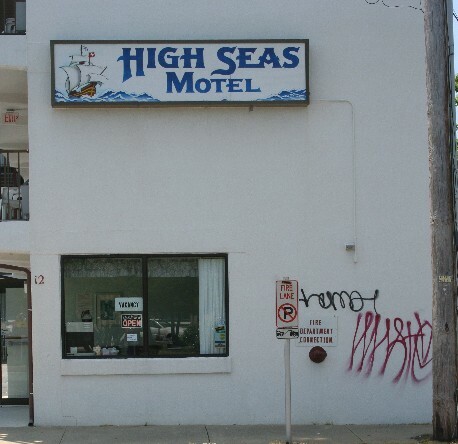 As well as the High Seas Motel. They made their way across Rehoboth Avenue where the suspects sprayed the old ticket shack in the Rehoboth Beach Running Company parking lot. 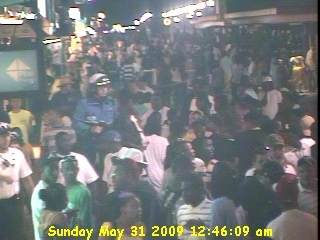 Minutes after they tagged the old ticket shack, police were hot on their trail and captured three of the suspects in the second block of Sussex Street. In an e-mail Saturday evening, Det. Kevin Jones says 18-year-old Johnny Osbourne of Newark was arrested along with two juveniles. "We think that Osbourne was the main person behind the whole thing," says Det. Jones. "Evidence was also found in Osbourne's possession linking him to multiple graffiti incidents in town and outside of town," Det. Jones added. He said officers recovered 42 cans of spray paint. "Reviewing what evidence was seized," Det. Jones says "it appears the motivation was what he [Osbourne] considered art. There is nothing that appears to be gang related." Det. Jones says he will have more details on Monday in his news release. Two female Russian exchange students were accosted by two men during a robbery just outside Rehoboth Beach late Friday. The robbery was reported around 11:40 p.m. at the bus stop across from the Rehoboth YMCA on Church Street. At least one of the men was armed with a handgun. After the robbery, the suspects fled toward Burton Village. Police did not say what property the robbers stole from the victims. Officers searched the area for about an hour using the Rehoboth Beach police canine, but were initially unable to locate the suspects. Police later received a citizen's tip which led to the arrest of both men. The state police issued this news release with suspect photos on Sunday. 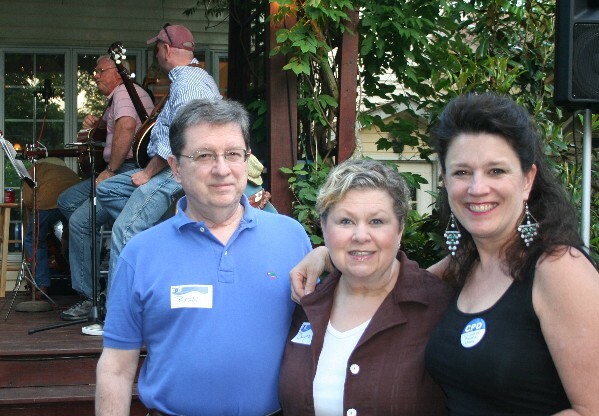 About 80 Dewey Beach property owners and supporters held a fundraiser Saturday night at the home of Frank Surprenant on Scarborough Avenue. 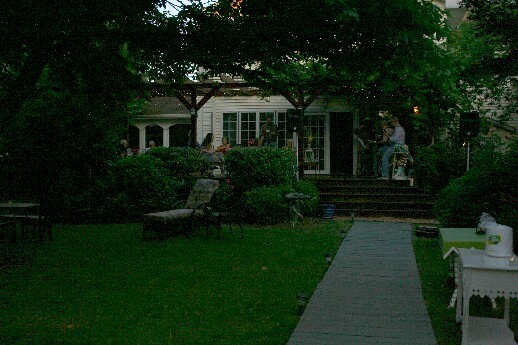 Under moonlight In Surprenant's gorgeous backyard, they enjoyed live bluegrass music and barbeque foods while grappling with how to handle tough issues that face the popular resort town. The group says it is fighting to retain the town's character. One of the CPD's primary concern is defending Dewey's 35-foot height restriction, and of course, the proposed Ruddertowne re-development, which is currently stalled in litigation. The Citizens to Preserve Dewey (CPD) describes itself on its Website as an independent group of concerned residents, property and business owners which formed in June 2007. 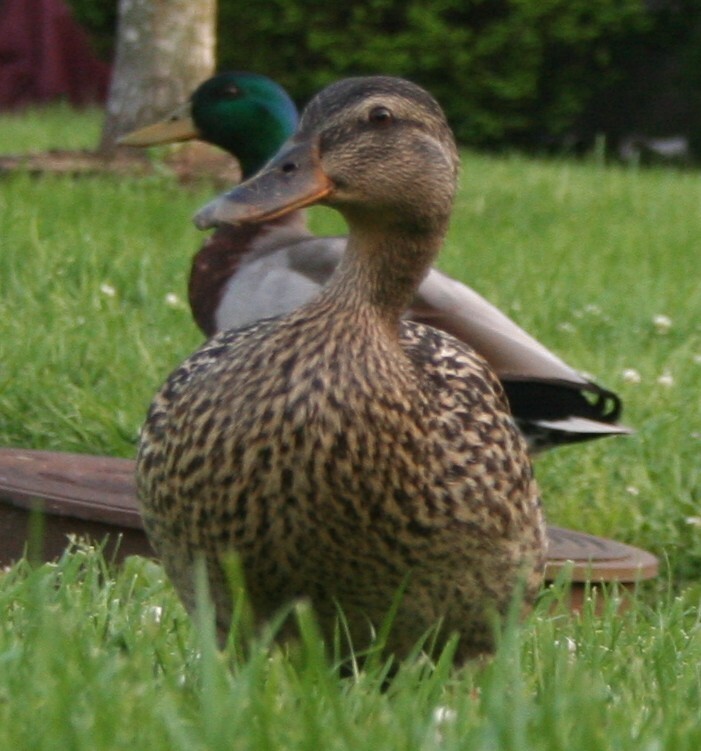 Numerous related articles of interest are posted on the group's Website. The CPD is looking for supporters and donations to help fight the corporate interests which it sees are out to exploit the resort town's character. NEW COMMUNITY CENTER OPENS AT CAMP REHOBOTH! 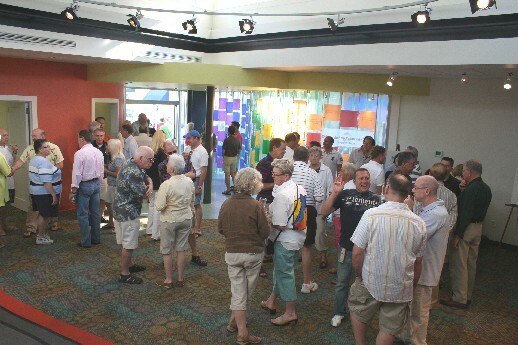 Hundreds of visitors attended the official dedication and grand opening of CAMP Rehoboth's new community center wing and courtyard early Saturday evening. For nearly 20 years, writes Murray Archibald, CAMP Rehoboth founder and president, the organization has sought to live by its mission statement which included developing community space. That is something, he added, "we have accomplished with the CAMP Rehoboth Community Center." For more information on CAMP Rehoboth and its new community center, please visit the CAMP Rehoboth Website. TAXI FROM ATLANTIC LOCKOUTS TO THE RESCUE! It took "Taxi" from Atlantic Lockouts less than 30 seconds to open the door of this SUV parked in the third block of Rehoboth Avenue early Saturday afternoon. 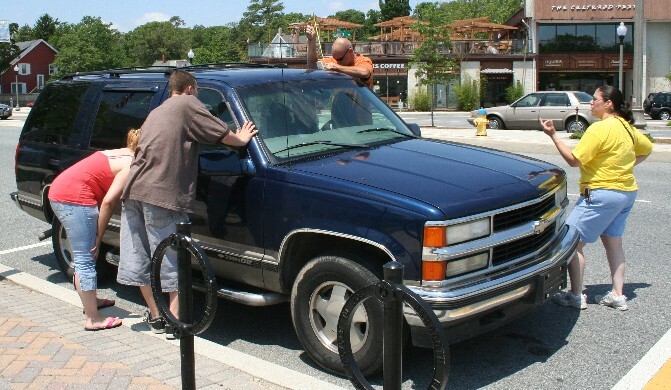 He came to the aid of these visitors when they locked their keys in the Chevy Tahoe. If a child is locked inside, Taxi does not charge! Keep his number handy, 302-330-0230. A man was removed in cardiac arrest from the loft area in the rear of 17 Rehoboth Avenue, behind the T-Shirt Locker, around 11 a.m. Tuesday. He was taken by ambulance to Beebe Hospital where he was pronounced dead. Rehoboth Beach police Det. Kevin Jones says the victim was 32 years old. Since foul play is not suspected, Det. Jones says he did not assume control of the investigation. However, Det. Jones adds, the preliminary investigation shows that this does appear to be a drug overdose. The man's body was turned over to the Office of the Chief Medical Examiner for an autopsy. 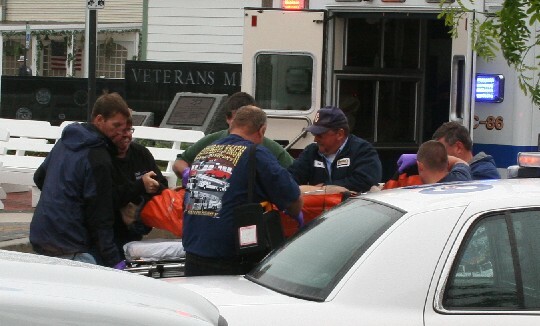 Almost an hour after this death in Rehoboth Beach on Tuesday, police in Ocean City investigated a death on 94th Street. 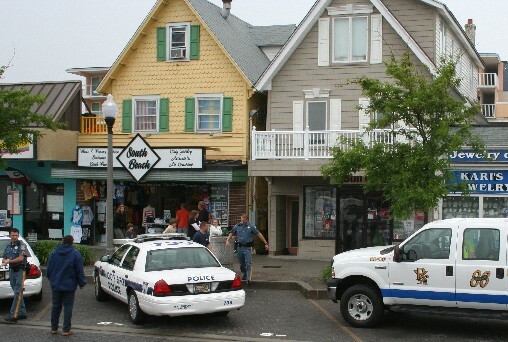 That was the second death investigation in two days for Ocean City police. Another man was discovered dead in a room at the Tides Motel early last Sunday. He did add that if they had died from a bad batch of a particular drug he thinks the detectives would let him know. 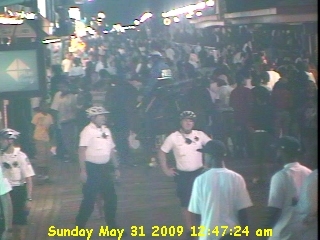 For a few moments it sounded as if Ocean City was headed for a repeat of the melee that happened last weekend on Worcester Street. Around 12:45 a.m. Sunday, police reported another fight involving about 100 people on the Worcester Street pad. Officers requested back-up from the north end of town, but had the situation under control within about five minutes. Police made two or three arrests, but no injuries were reported.